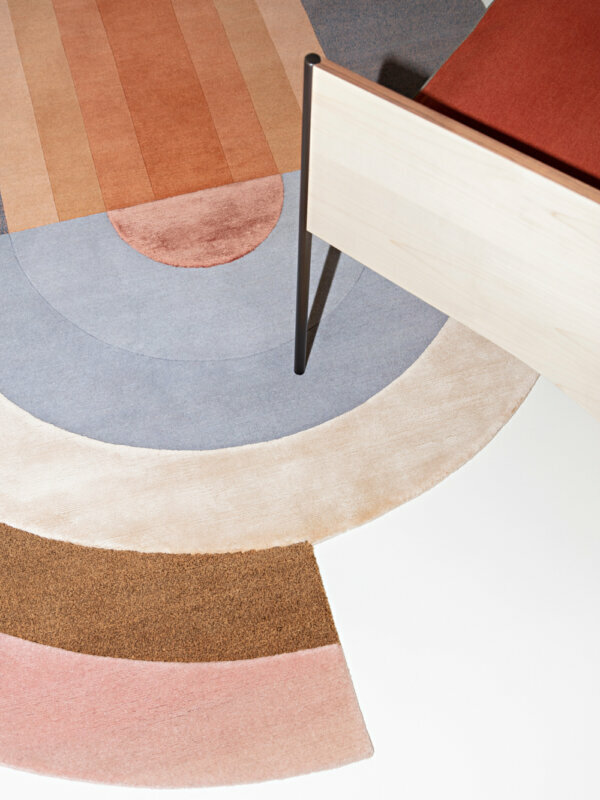 "Keeping the playfulness of the Memphis movement in mind and experimenting with shape and color was the start of the BLISS collection." 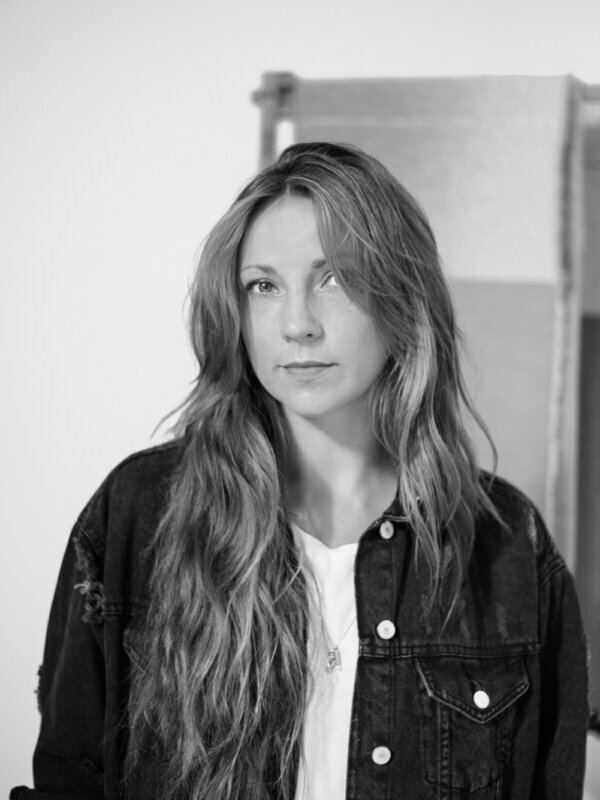 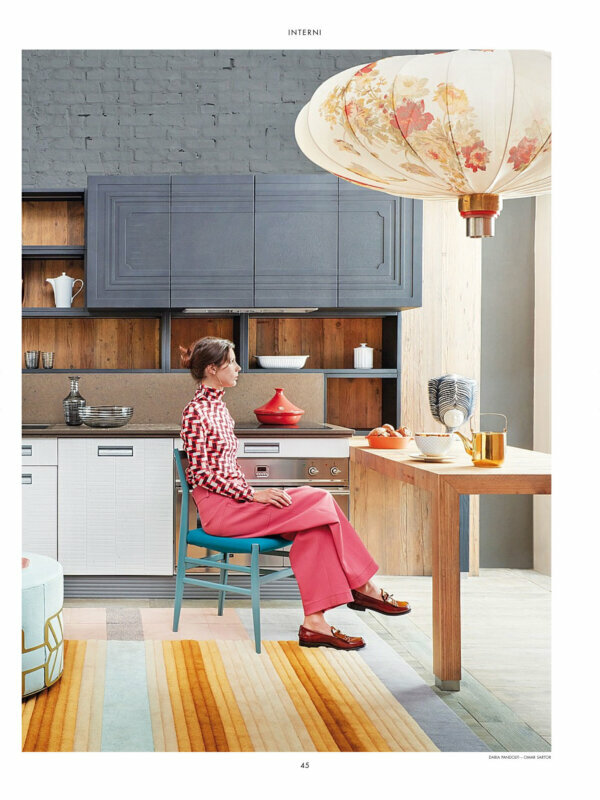 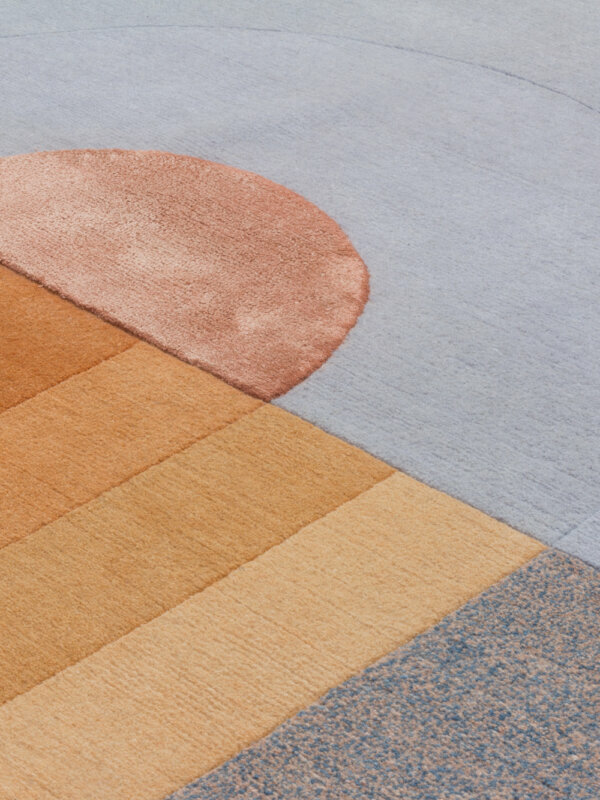 The Bliss Collection is a characterized by a sculptural and three-dimensional effect which was initially inspired by a sample that Mae Engelgeer created where she was experimenting with rounded shapes and curves. This came after a period of using straight graphic lines and feeling captured by them, Mae felt the need to use bold shapes again. 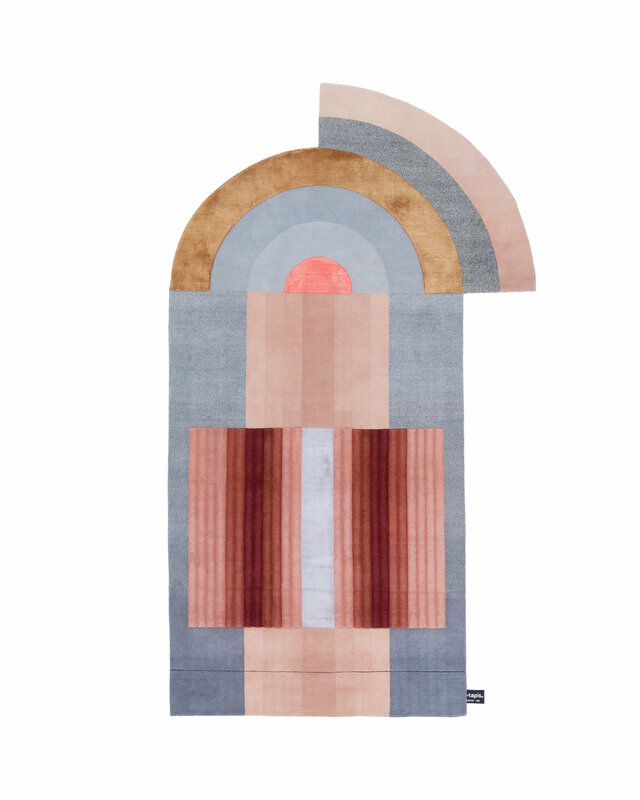 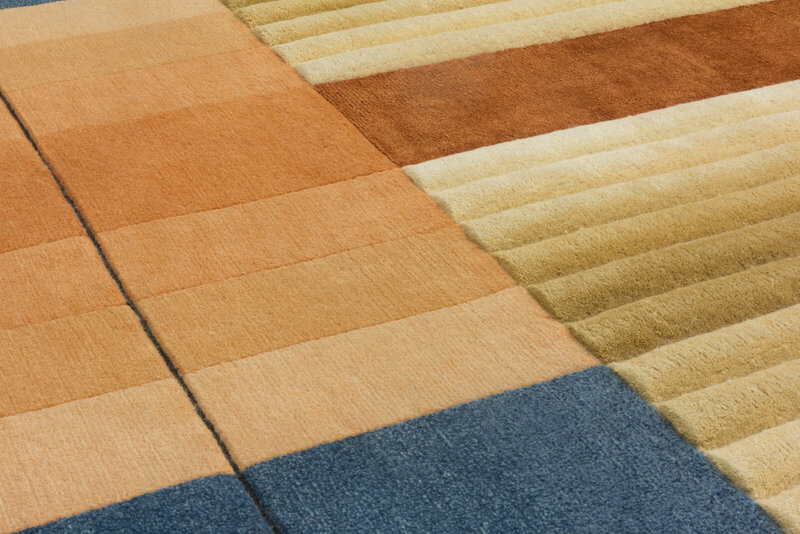 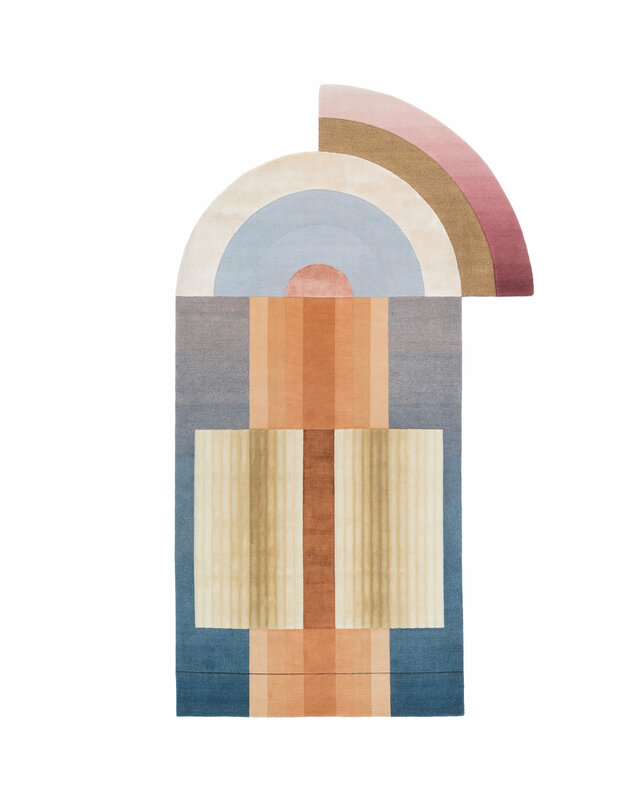 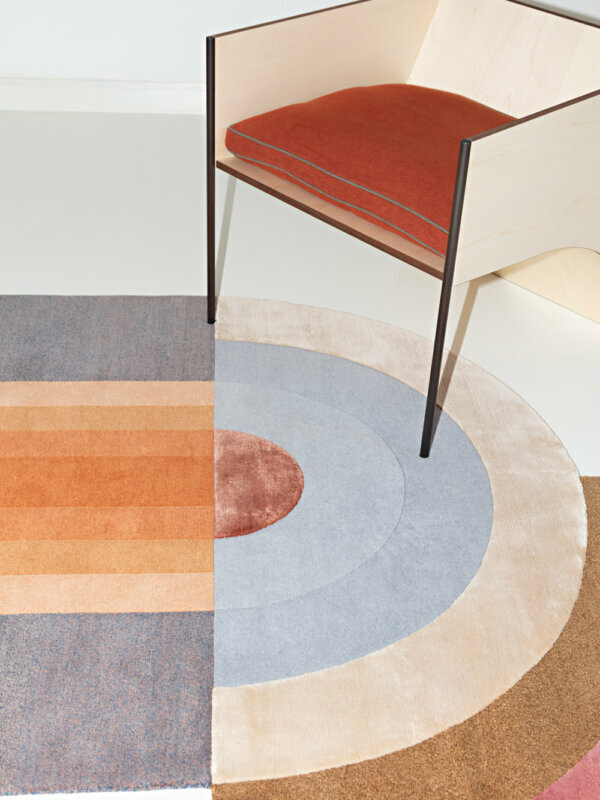 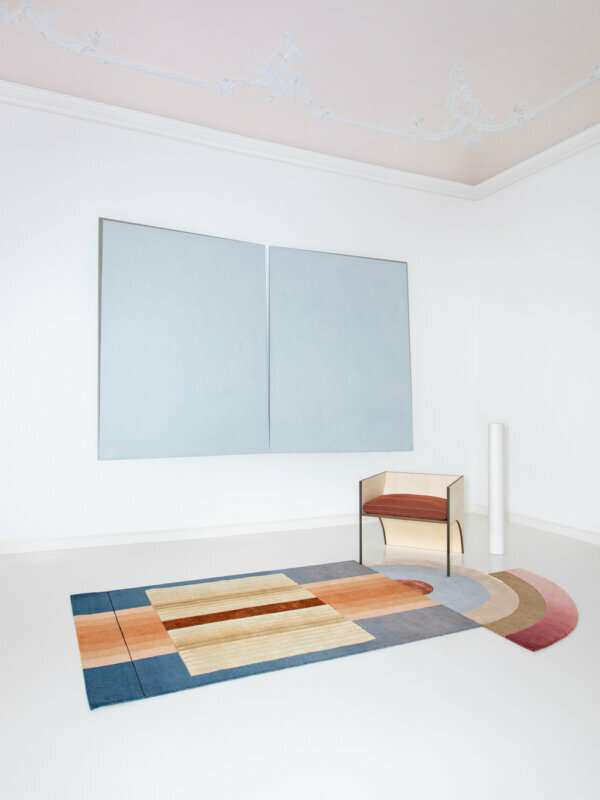 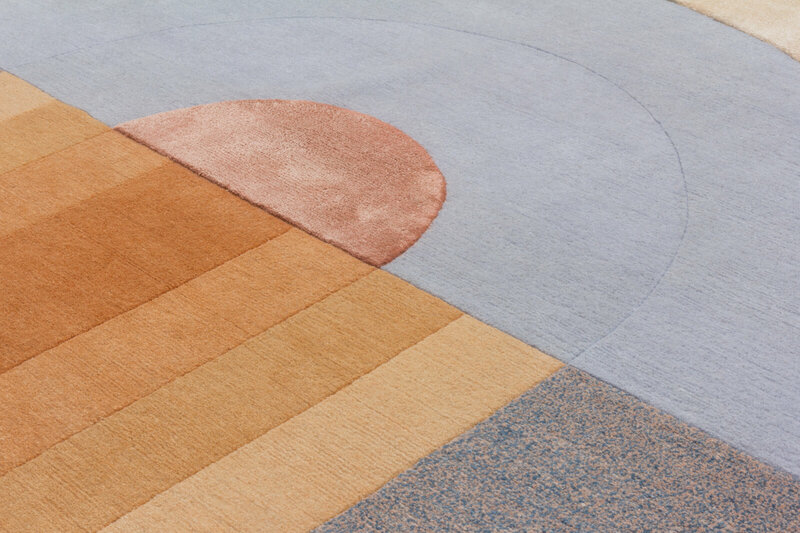 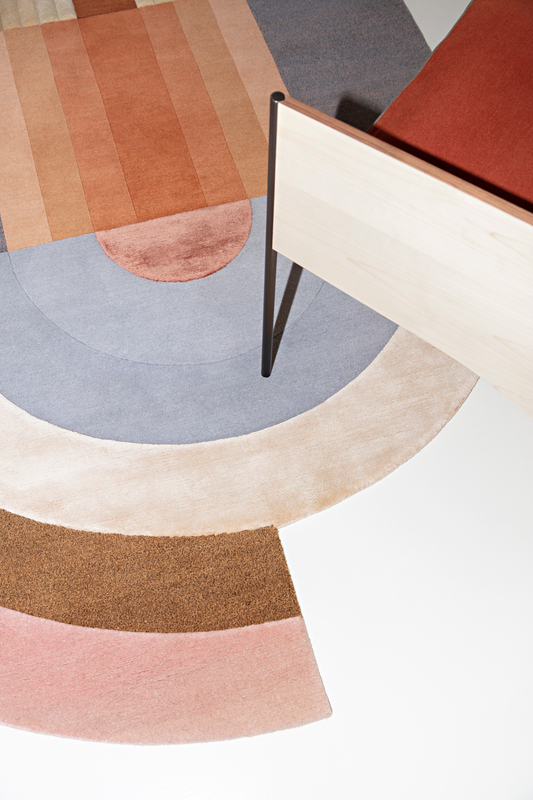 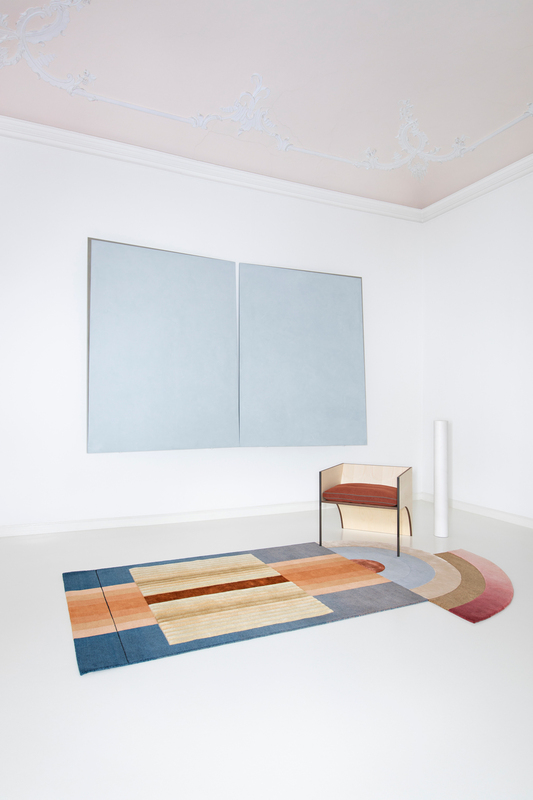 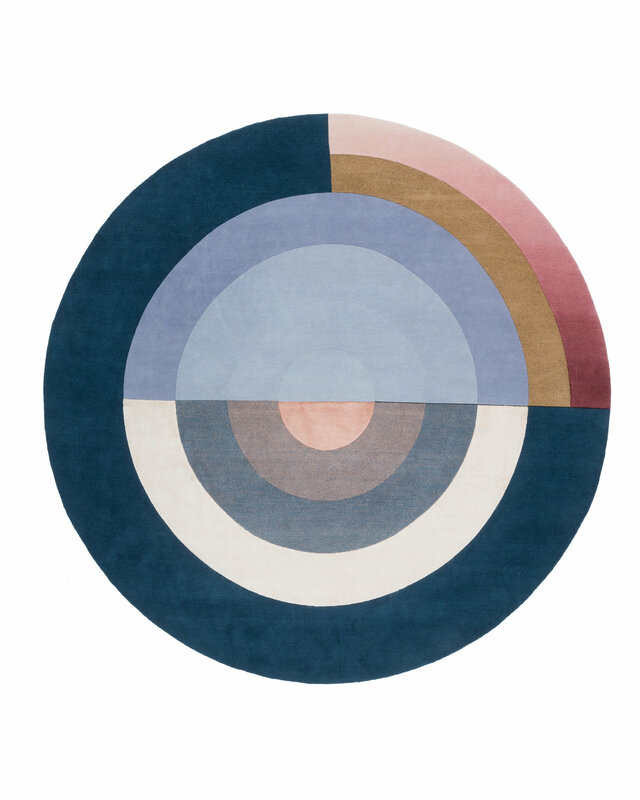 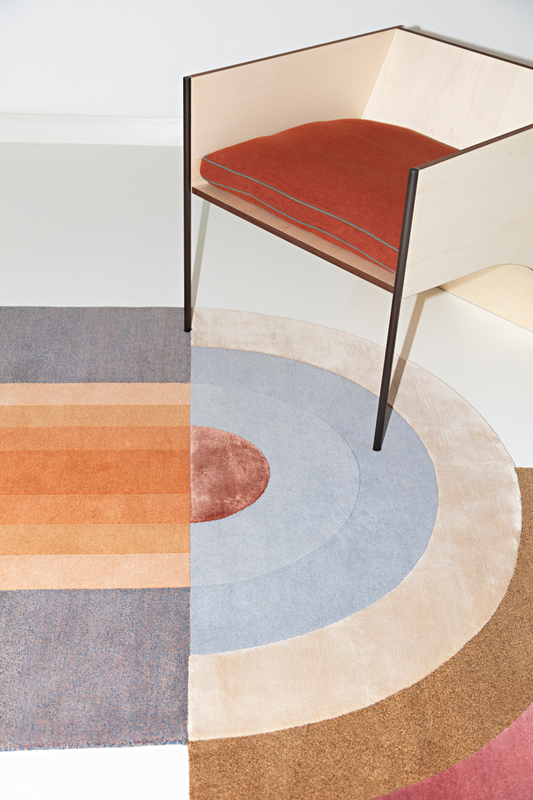 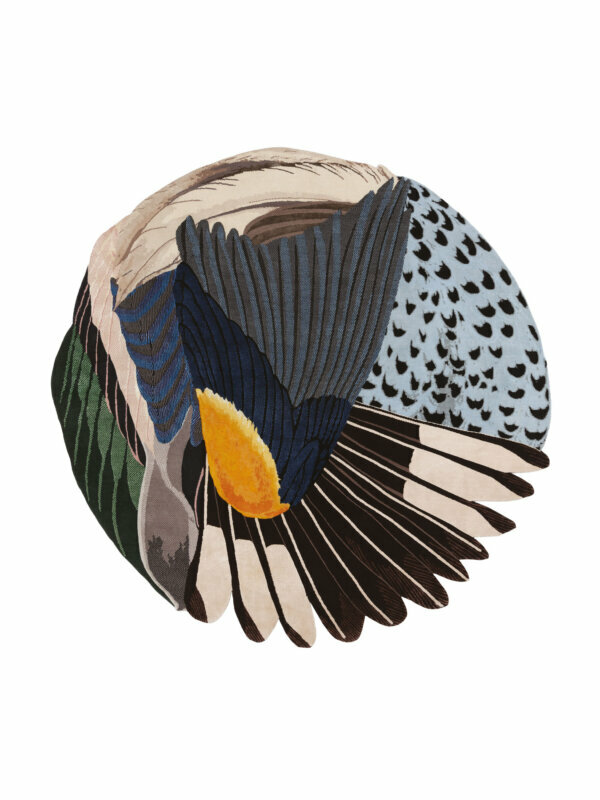 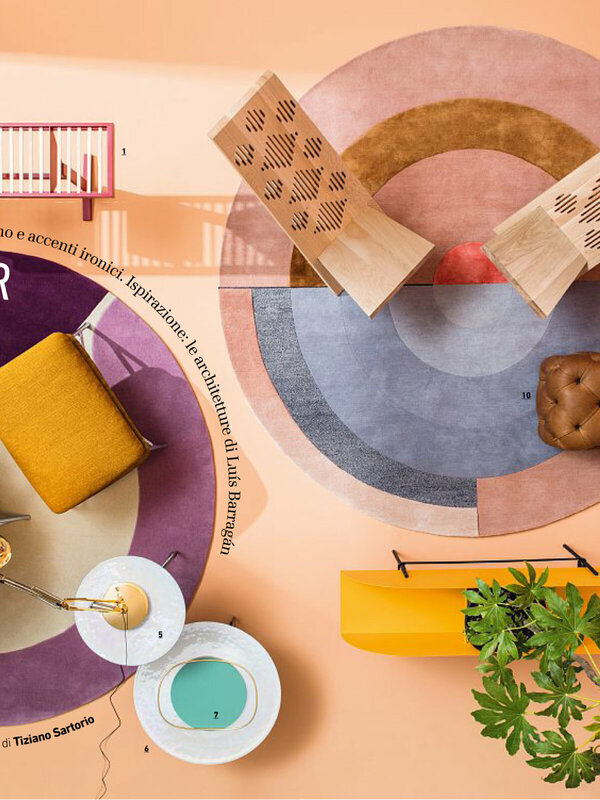 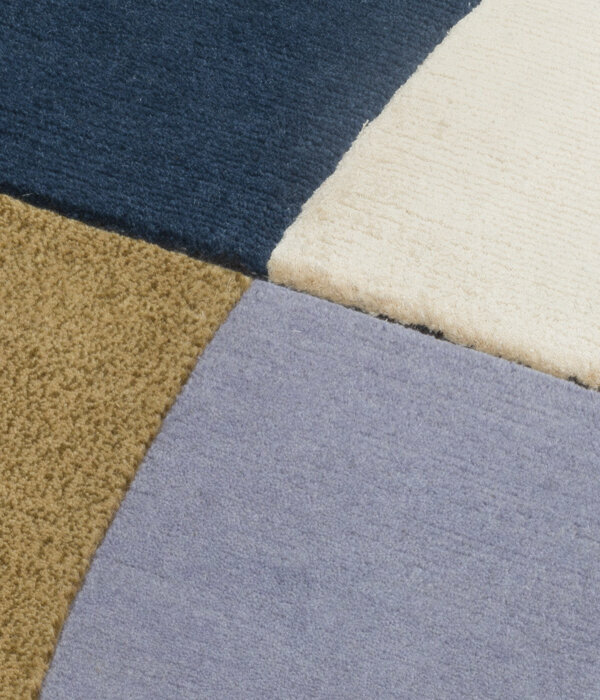 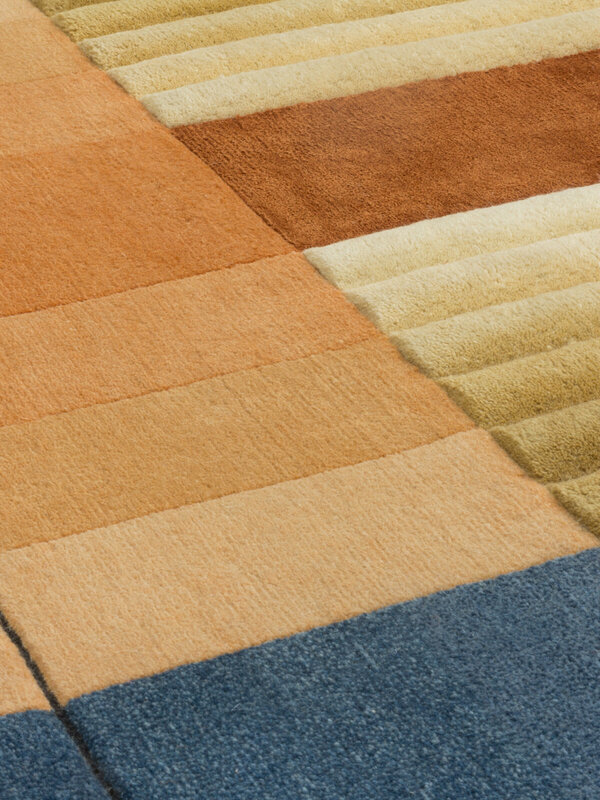 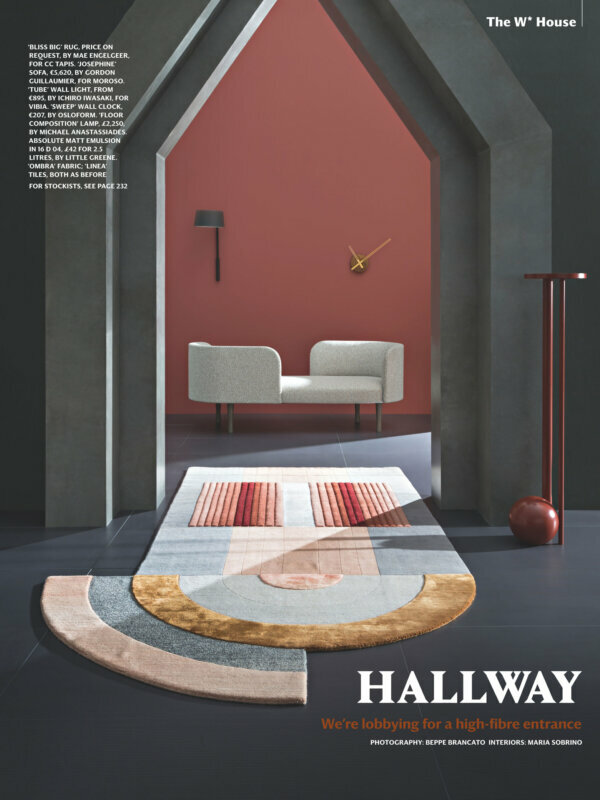 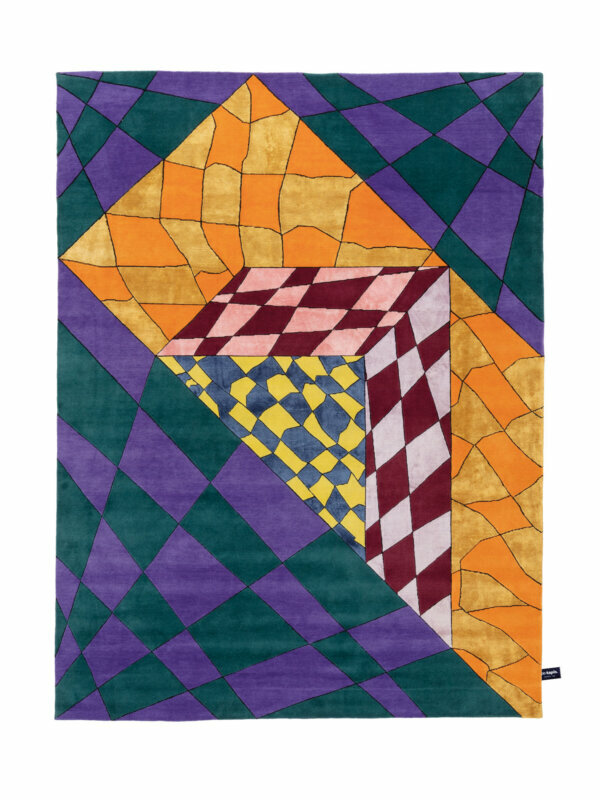 Keeping the playfulness of the Memphis movement in mind and mixing elements like pattern and form with different production techniques give life to the rugs. 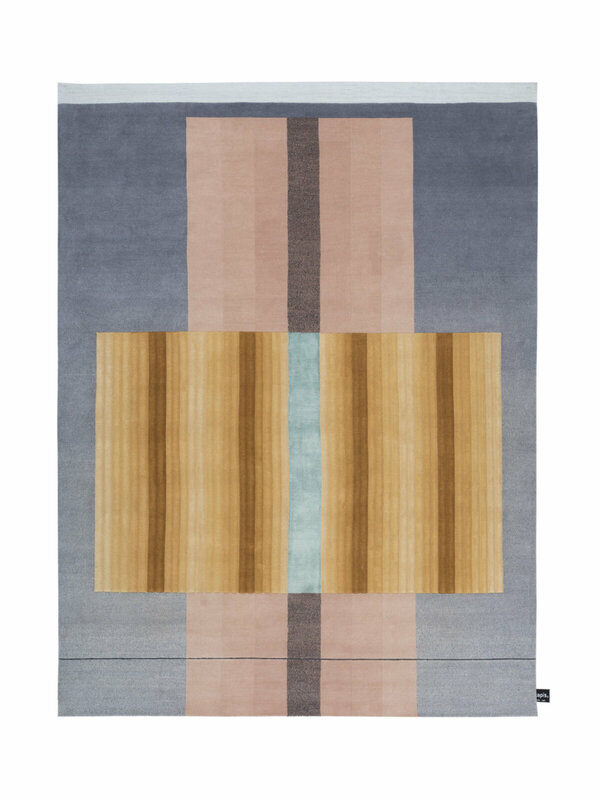 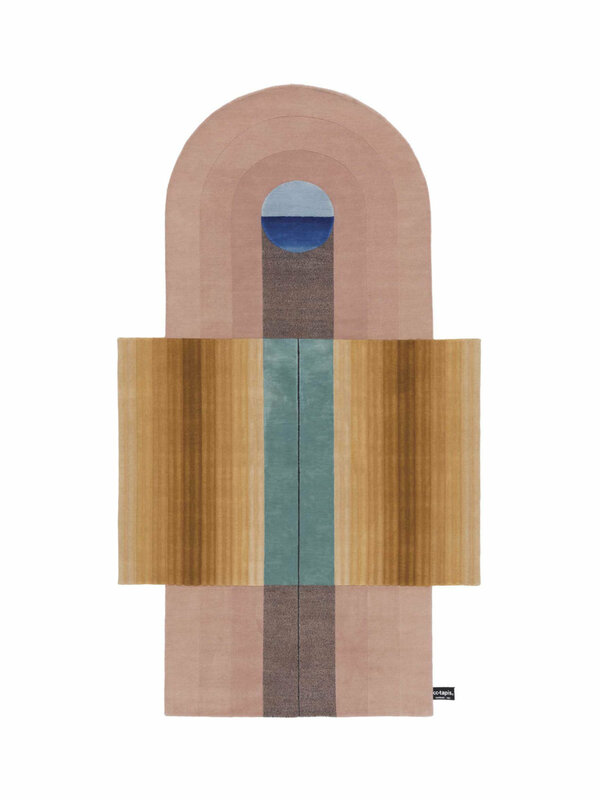 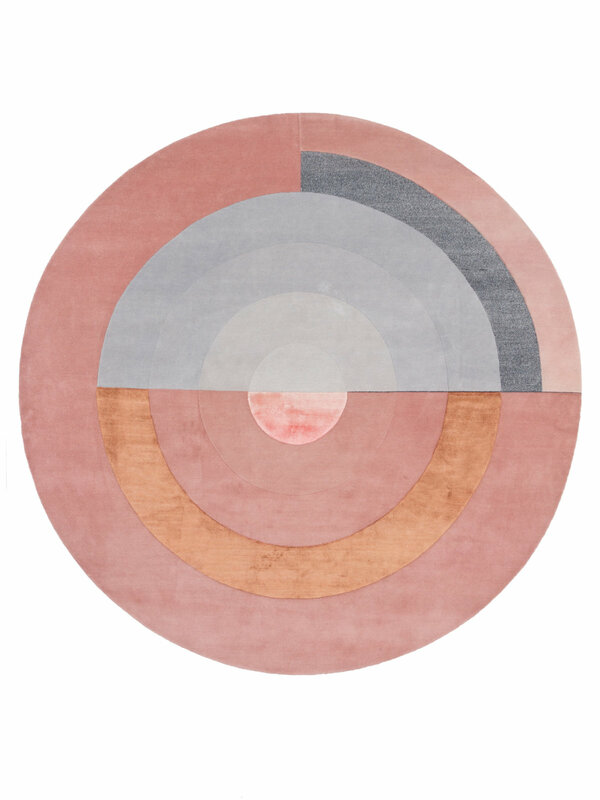 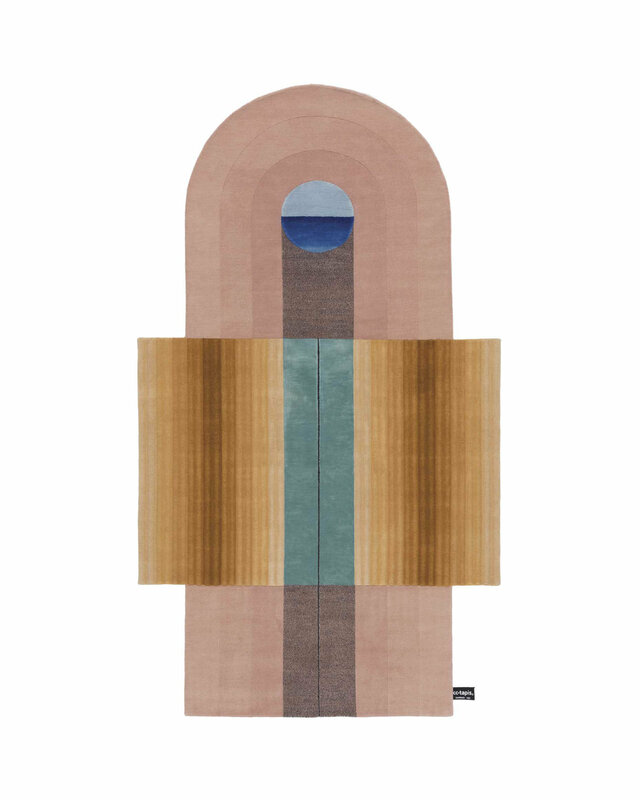 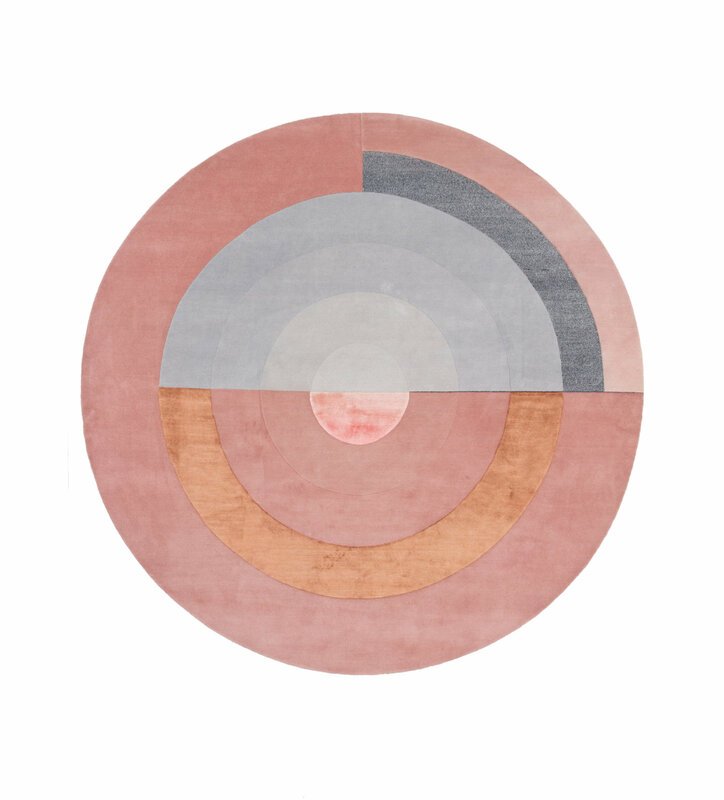 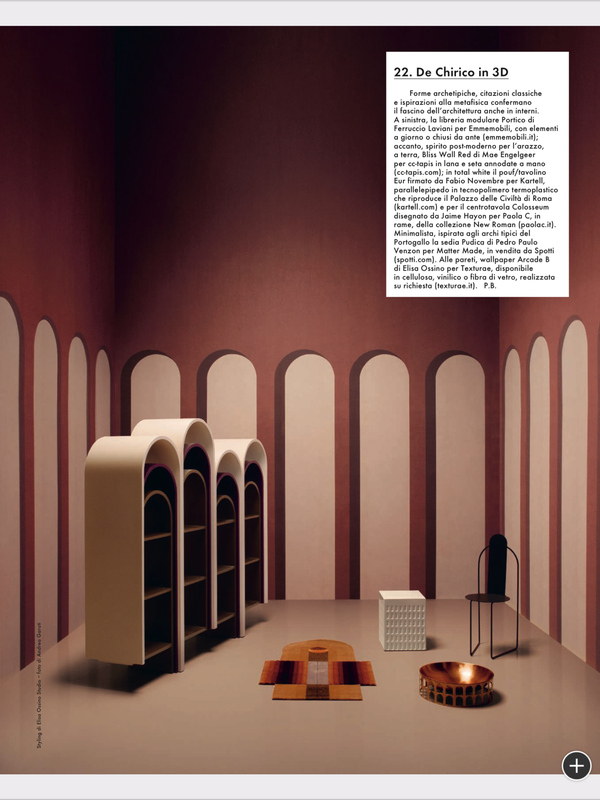 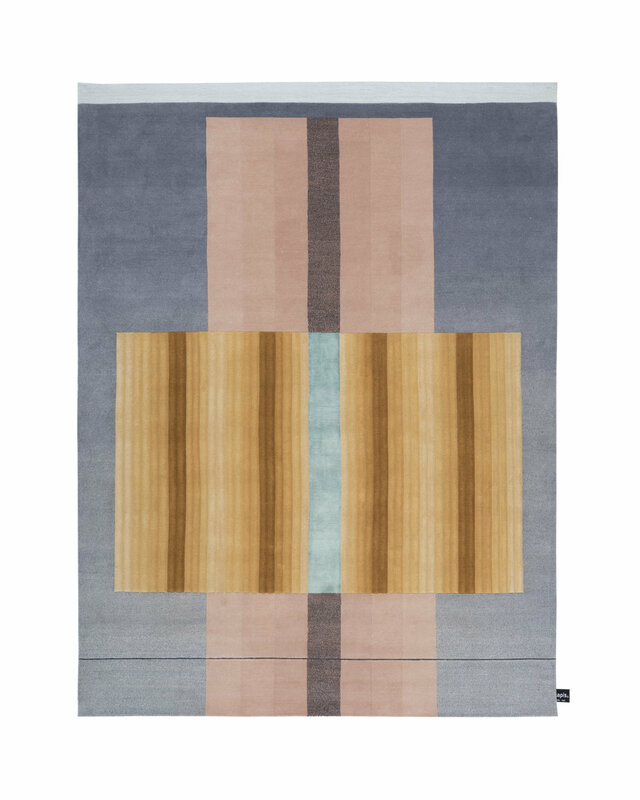 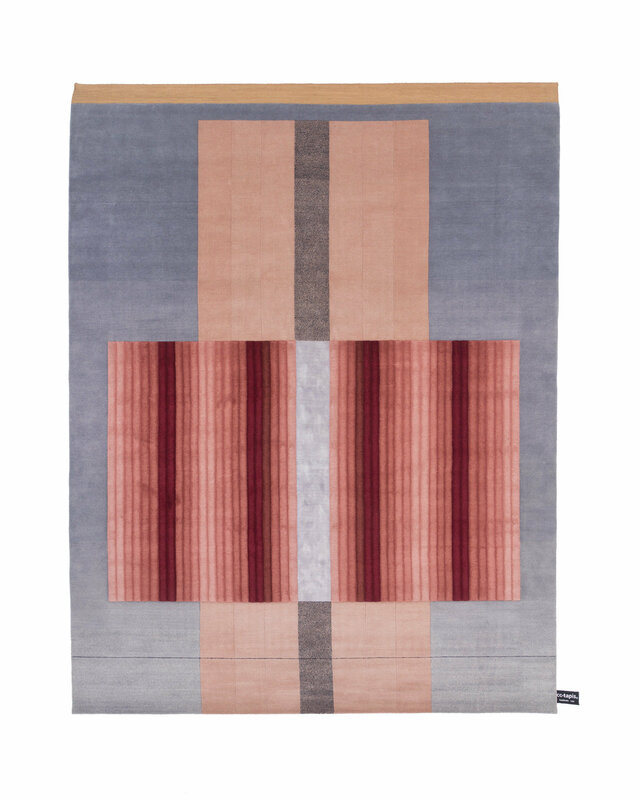 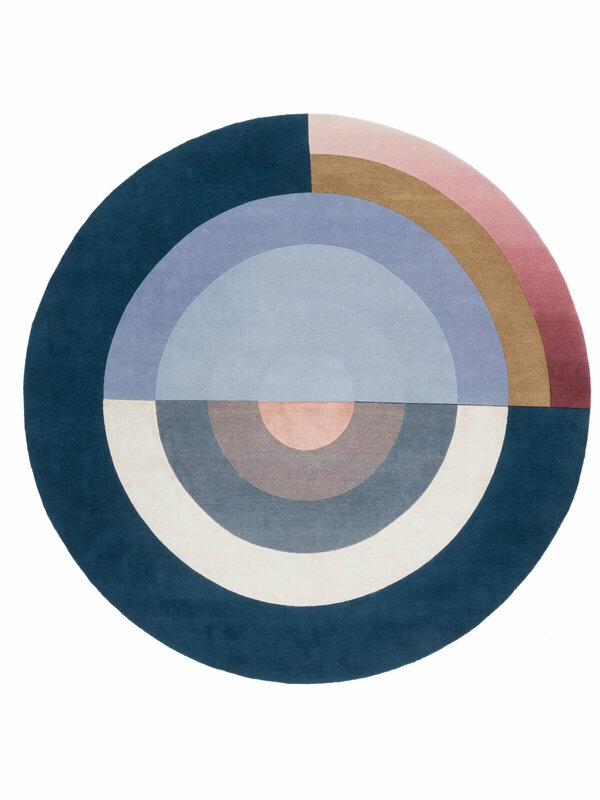 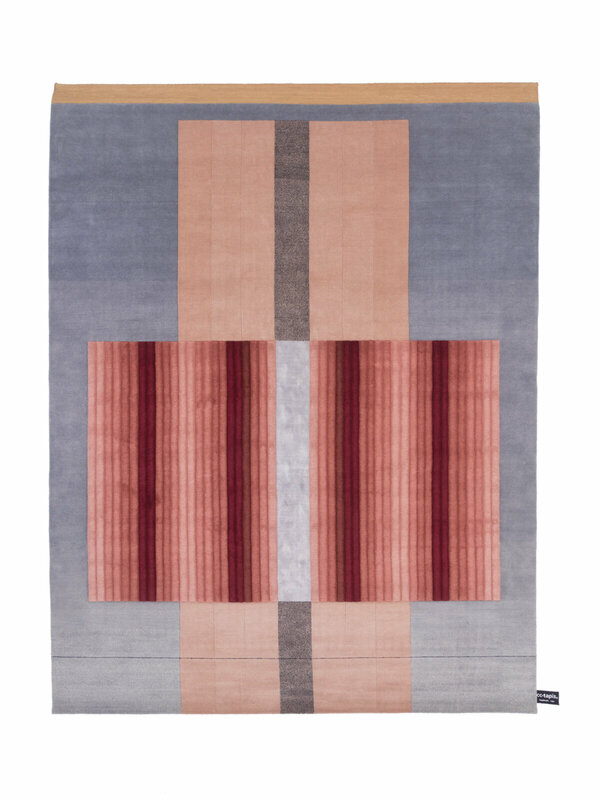 The Ultimate Bliss, the last rug in the collection creates a sophisticated textile landscape with a variety of pile-heights created in Himalayan wool and pure silk, a design so dense you can, as the designer says, "get lost in the bliss."